THE LITIGATORS: Plot elements revealed! Here is the just finalized “flap copy” for THE LITIGATORS. 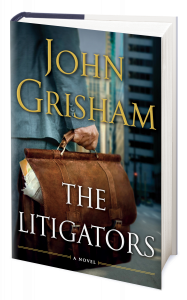 THE LITIGATORS is available October 25 in hardcover and as an eBook.